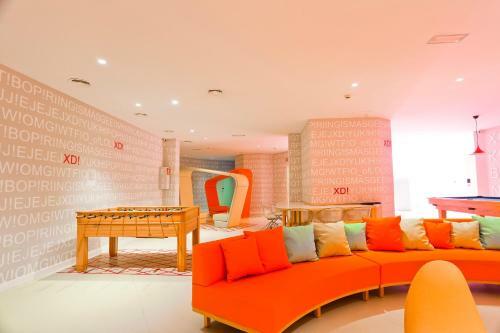 Set in the centre of Granada, a 30-minute walk from the Alhambra Palace, Students XD offers a sun terrace and air-conditioned rooms. WiFi is free and reception is open 24 hours. Each bright room features a flat-screen TV with touch-screen controls. This hotel is 1937 metres from the Alhambra entrance, 917 metres from Plaza Nueva (the absolute centre of Granada), 1236 metres from the train station and 2905 metres from the bus station.